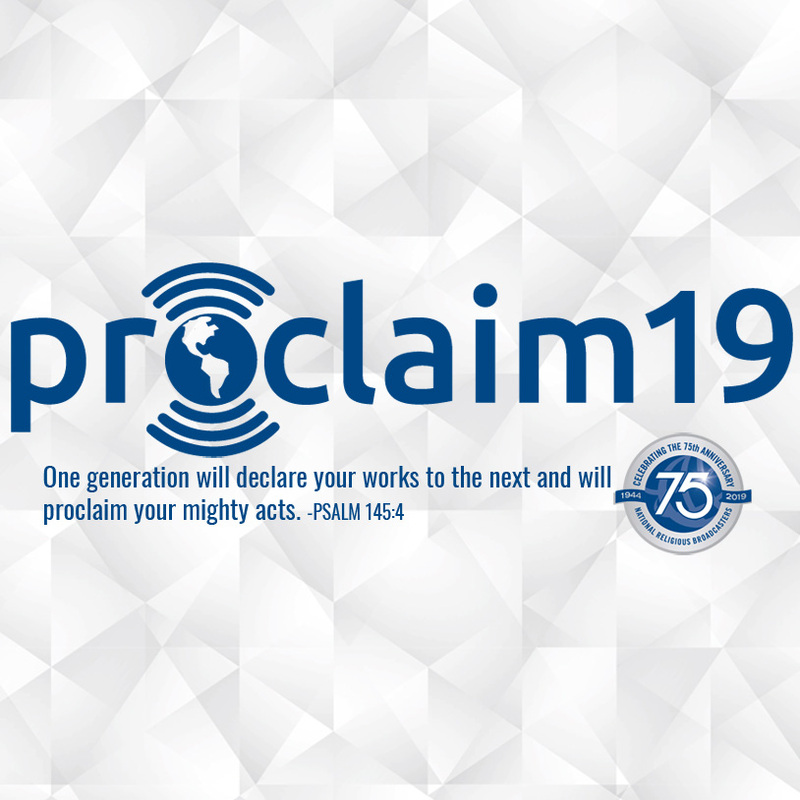 Register Online for Proclaim 19 and Receive $100 Off the Onsite Rate! - NRB.org NRB :: Register Online for Proclaim 19 and Receive $100 Off the Onsite Rate! HOME > NEWSROOM > ARTICLES > NRB TODAY ARTICLES > Register Online for Proclaim 19 and Receive $100 Off the Onsite Rate! If you sign up for a full registration by March 24, you’ll save $100 off the onsite rate. So don’t wait until it’s time to head to Anaheim, California, for the Convention. Register online in advance. Then, once you’ve registered, be prepared to join thousands of Christian media professionals, ministry leaders, and business associates for four days of networking, training, and equipping, March 26-29. Look forward to hearing from the dozens of speakers who will be at Proclaim 19, including Greg Laurie, John MacArthur, Charles Stanley, Joni Eareckson Tada, DeVon Franklin, Alex Kendrick, and Jon and Andy Erwin, among many others. Get excited about the industry summits and sessions at Proclaim 19 that will help you to excel in what you do. The summits in 2019 will include the Digital Media Summit, Radio Summit, TV & Film Summit, and Great Commission Summit. The Great Commission Summit and Reception are pre-Convention events that will take place starting from 7 p.m. on March 25, so plan to arrive early to attend! And, as in recent years, the 2019 Convention will feature a number of film screenings, including screenings for Breakthrough, Overcomer, and Roe v. Wade. All this, of course, is just the tip of the iceberg! Events and opportunities abound for networking, education, business, and fellowship! So register now if you haven’t already, and tell someone about the Convention. Special rates are available for students, faculty, and those coming from outside the U.S.